Today, I'm showing you a look for every occasion. 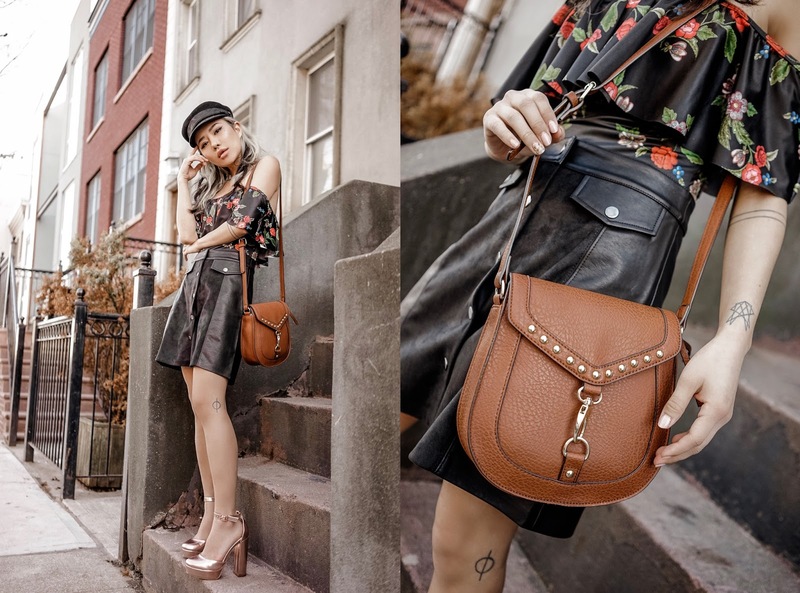 You know how much I love JustFab, so I wanted to showcase my favorite looks from their brand spankin' new collection. There's something for every mood! I've recently been really into wearing swimsuits as bodysuits (see here for an example)! They're sleek, comfortable, and form-fitting--and they're honestly no more uncomfortable to use the bathroom in than wearing a romper, haha. Here I'm wearing the Off Shoulder Ruffle Swimsuit, which can be worn with our without its removable straps, underneath the dope faux leather + suede Button Front Skirt. An equestrian Stud & Strut Crossbody Bag and shimmering rose gold Britte Pumps complete the look. Did you know JustFab makes activewear?! I'm over the moon about this python print set--just because you're gettin' sweaty doesn't mean you can't look good while doing it. The Front Cross Sports Bra and High Waisted Active Legging come in a variety of colors for every mood and are stylish enough to run around the city to run errands in. The perfect companion to this set is the To-Go Expandable Weekender Tote, big enough to toss your whole life into. Need to meet your best friend's parents? Looking to wear your Sunday best? Want to don something minimal, yet contemporary? I love finding JustFab pieces that come in really similar shades. JustFab is great at producing garments in eye-catching colors, which is perfect for such a clean, conservative look. This stunning coral shade does all the speaking this Side Slit Midi Dress needs. 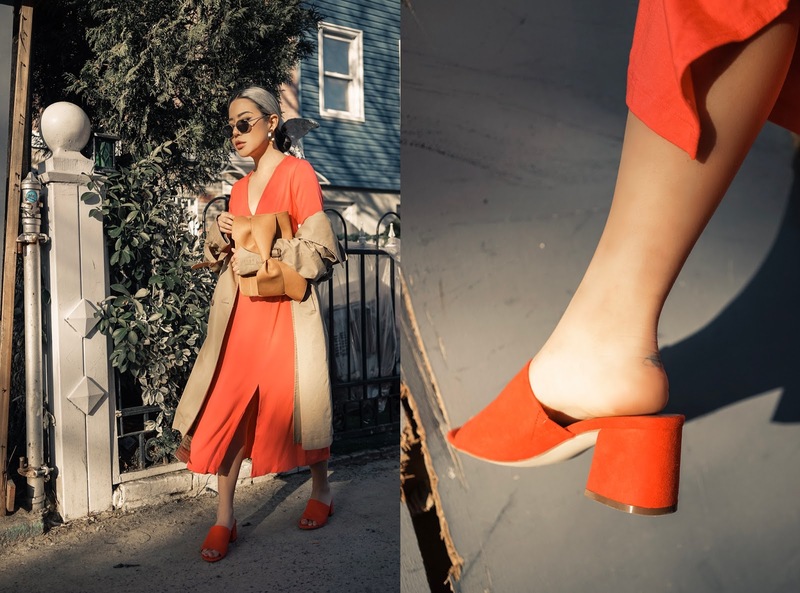 I love that this Brayden Bow Clutch can be held by slipping your arm through the strap, and I'm also suuuper about these comfy Lorica Heeled Mules and can't wait to take them to more tropical climates! This is my idea of the perfect date night outfit. 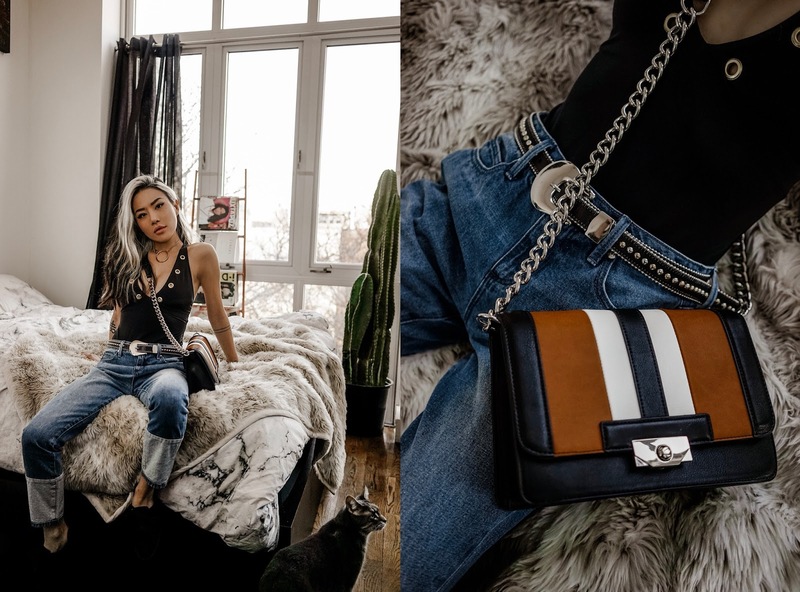 It has edgy hardware details and a deep v-cut, but with the Blocked Vintage Slim jeans, City Stripe Crossbody Bag, and tidy Evora Flats, it looks extremely put-together, yet casual. And guess what? The bodysuit is, once again, a swimsuit! Talk about double duty. This outfit is the most useful of them all. Gone are the days when I could go to the airport looking like a bat outta hell. I enjoy arriving looking and feeling good--I think that's a great start to any trip! 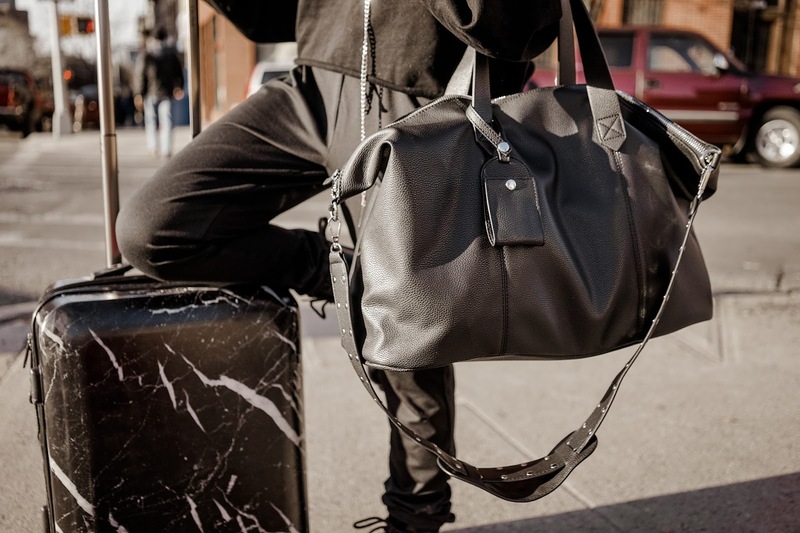 I still need pieces that meet at the intersection of style and functionality, and this Ruched Active Jogger and Studded Travel Tote steal the show. 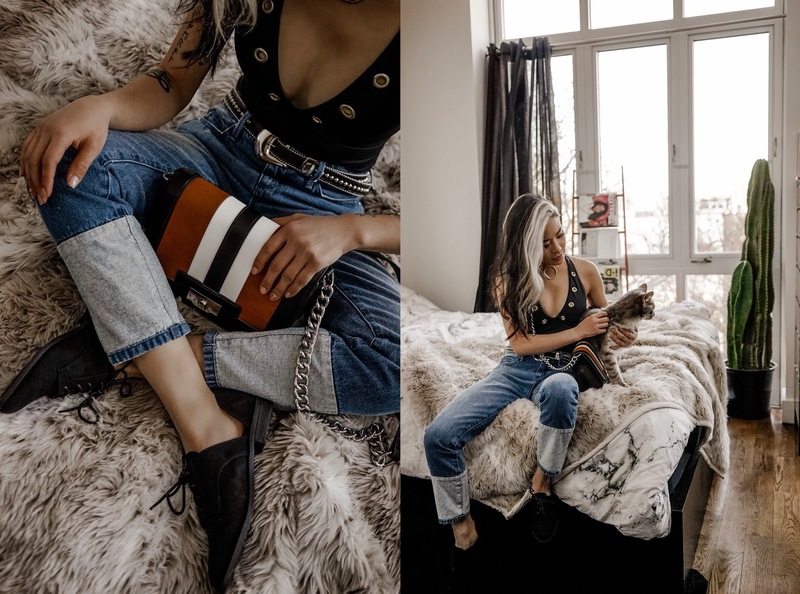 Pretty and comfy sweats are a *must* for me, and this bag is EVERYTHING you guys! 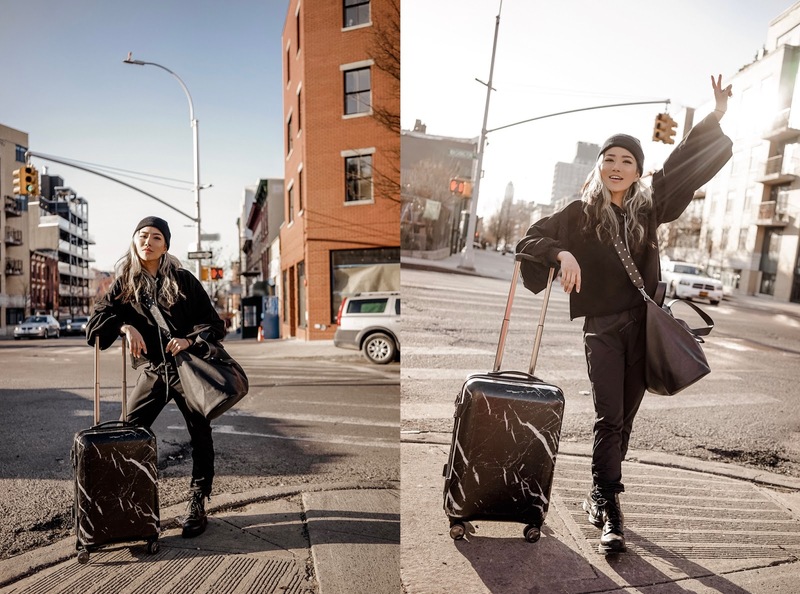 I love that it comes in black, I love that it's studded, and I love that it's big enough to be your only weekender bag. It's a must-have. You can shop my selects, and hundreds of other pieces, at JustFab. Snag a steep discount when you sign up to be a VIP! 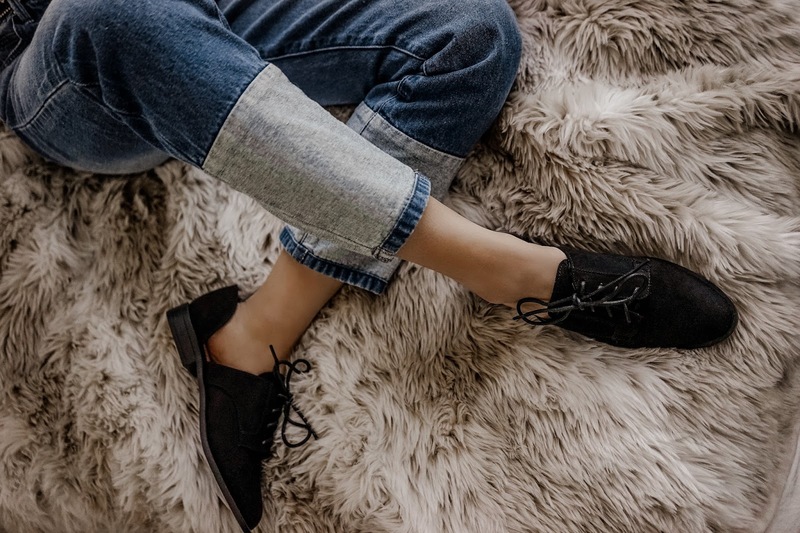 JustFab is the leading fashion membership brand that cuts out the middleman and sends your favorite pieces directly to you. Members get exclusive content and event invites, expert fashion consultation, styles catered to your specific taste, and high fashion at low prices. How does it work? Your monthly membership fee goes directly into your shopping credits for you to spend on stuff you love. You'll get an exclusive boutique available to shop on the 1st of every month, with 30% off retail pricing all day, every day. Don't wanna shop that month? Just opt to skip it before the 5th and you won't be charged! There's nothing to lose to join JustFab, and new VIP members get enormous specials for their first purchase. Head over to JustFab to see more! I love every look! You showed me how to put things together. Thank you!